There were many who thought Argentina could not qualify for the last 16 of the 2018 World Cup. But in the match yesterday (26/6/2018) against Nigeria, Argentina managed to win dramatically with the final score 2-1. The two goalscorers are Lionel Messi and Marcos Rojo. 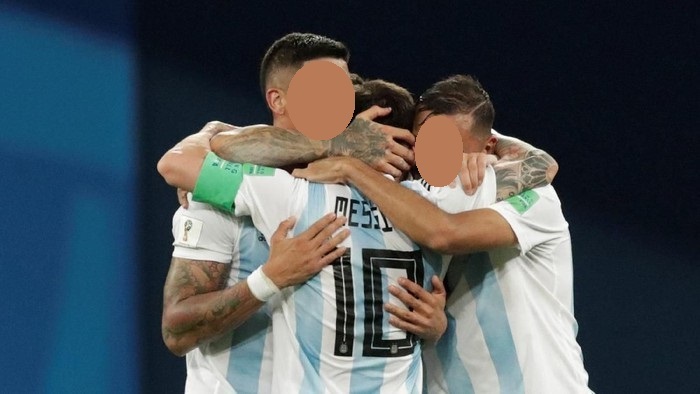 Not just players who feel happy, the Argentine supporters were also surely able to sleep soundly after the victory of his favorite team. Even the hormone testosterone in male supporters can increase only because his favorite team wins. This is shown in a study published in PubMed. The study involved eight men attending basketball games and 21 male fans who watched the World Cup matches on television. All supporters gave saliva samples for testosterone before and after the game. As a result, testosterone levels increase in the winning team supporters and decrease in the losers' supporters. This indicates that the winning team's supporters have a tendency to change physiologically, including mood swings even to self-esteem. According to Karel Karsten Himawan, psychologist from the Faculty of Psychology Universitas Pelita Harapan, sad and happy after watching football is a natural thing felt by football fans. This happens because there is a share connection between supporters with teams and players who become his idol. "It's a sad response as well as happy response to euphoria of victory, showing solidarity and support for their 'hero' or idol," he said. For the sake of Mental Health, Win or Lose Supporters Must Stay Happy! 0 Response to "Argentina Escaped, This Happens to Testosterone Hormones The Supporters"